The much awaited trailer to The Hobbit (The cinematic version of the prequel to J R R Tolkien’s The Lord of the Rings) is finally among us; seeming to have aroused a great deal of online interest. One viewer of the film’s trailer from Badass Digest states ” You Can Go Straight To Mordor If You Don’t Like This THE HOBBIT Trailer.” Another viewer from /Film stated “Though I first saw The Hobbit trailer almost two weeks ago, the best part of watching it again is that new Shore score. Wowzers.” Yet another vewer from Hollywood.com had this to say: “Look, I’m just scared to revisit something I love. Blame Star Wars. Blame Crystal Skull. Blame Tron.” And his sentiment is totally understandable in the wake of the films listed. As a fan of the The book of which this film is an adaptation, I would hate to see what looks to be a promising and entertaining film turn out to be the bastardization of something I care about. I too have seen this happen with films such as “The Last Airbender”, “Disturbia”, & “Queen of the Damned”; to name a few. After having seen the trailer for this film I can only say that I have high hopes and expectations of this film in its entirety. 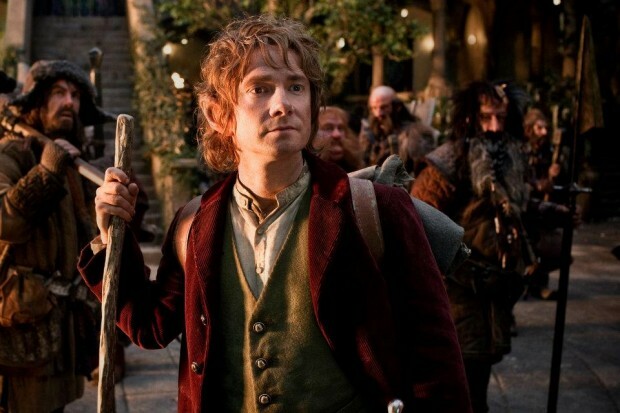 Given director Peter Jackson’s previous successes with the three Lord of the Rings films, one can only hope that he presents The Hobbit on a level equal to the aforementioned films or on a level surpassing them. The one thing I’m left with is excitement. 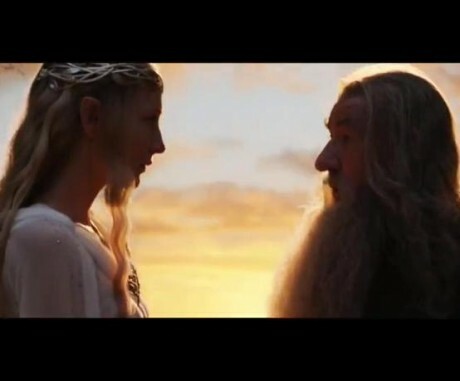 The trailer its viewers with the familiar through means of Gandalf, Bilbo, the other hobbits, and the Shire. We’re also presented with the not soo familiar.. cinematically speaking in the form of the dwarves, Mirkwood, and the appearance of something of a relationship between the characters of Gandalf and Galadriel. One thing for me personally that got my attention in the trailer is the dwarves singing in Bilbo’s home. The song they sing is shortened din the trailer, but it still rings familiar to me none the less. My opinions aside, I leave you with the trailer to the film located at the bottom of this blog post. Make your own opinions, and if you like to.. let me know what you think. The movie trailer is awesome. It really is. I am concerned/interested in seeing how things play out between the two G’s. Ha.